This Credit Union Awareness Week, we’re joining forces with credit unions across Greater Manchester to form SoundPound a network of local, ethical loans and savings providers. 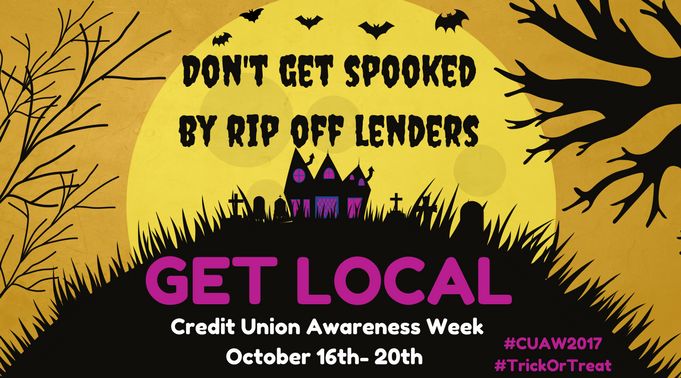 Together, we want to make sure you do not get tricked by shiny offers made by slick national lenders – which may lead to costly repayments and financial stress, and instead, get treated fairly by a local credit union – who offer online and in-branch services, great loan deals and an easy way to save. Thousands of people are choosing not only to borrow with SoundPound partner credit unions but save too – keeping £24 million in the hands of local people - and not filling the pockets of bankers in London. Thousands of people choose to save for a rainy day with their local credit union. How much do people across Greater Manchester currently save with the SoundPound credit unions in total? Email your answers to hello@soundpound.co.uk by October20th, leaving your full name and contact details. For the full terms and conditions, visit the SoundPound website. Want to keep your money in the local area? Find out more about becoming a Unify Credit Union member.